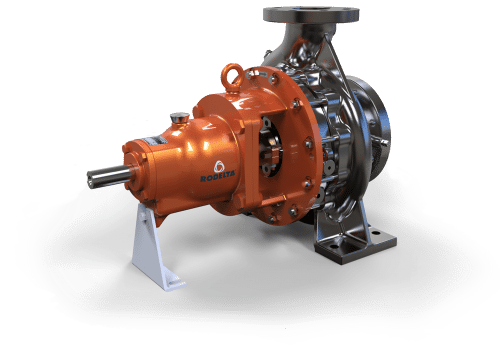 A pump casing is often referred to as a volute. 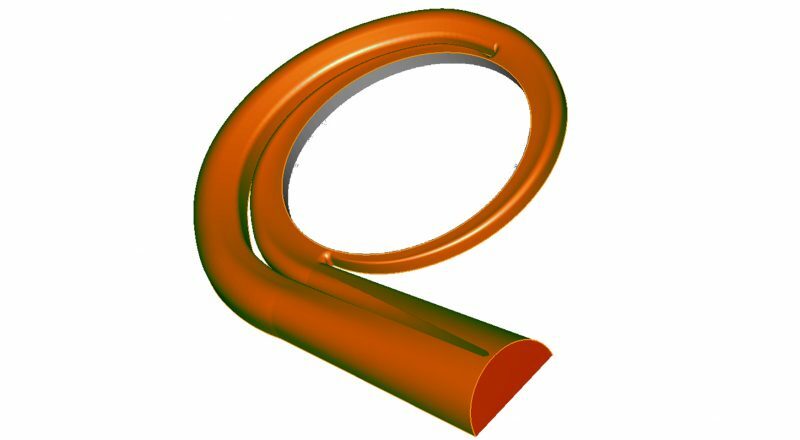 A volute is a spiral-like geometry with an increasing through-flow area, reducing the velocity of the fluid and increasing the static pressure. The fluid exiting the impeller is then diffused towards the casing discharge nozzle. These volute casings come in two different types: single volute and double volute. 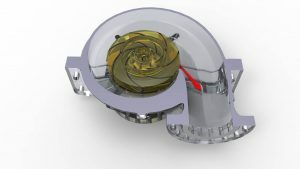 In a single volute casing, the impeller discharges into one volute that wraps completely around the impeller. 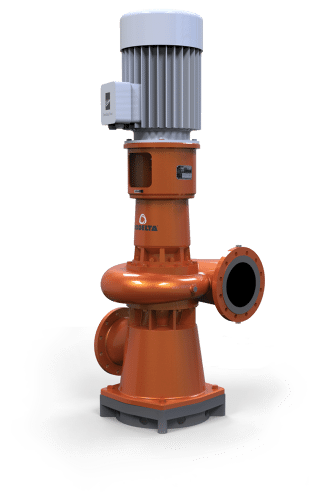 This type of casing features one cutwater that directs the flow of the liquid towards the discharge of the pump. 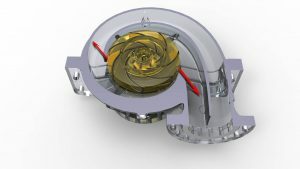 Double volute casings have two cutwaters located 180 degrees apart from each other. 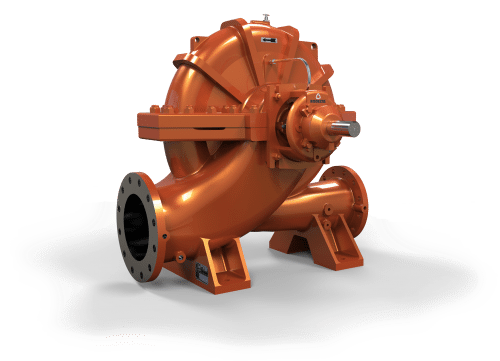 Normally a double volute pump can be identified simply by looking down the discharge flange: a noticeable vane is located inside the nozzle that divides the inner diameter of the discharge nozzle. 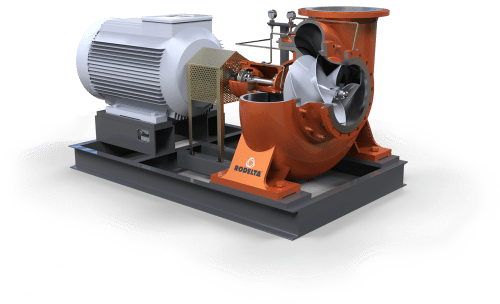 The main advantage of a double volute over a single volute is the balancing of radial loads on the impeller, as the double cutwater construction leads to a more equal pressure distribution in the volute. 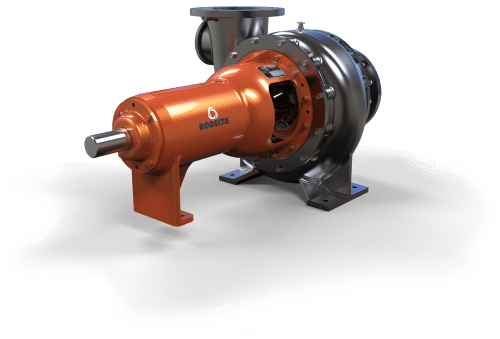 Minimizing the radial load on the bearings over the full operating range can have a significant impact on the lifetime of a pump, since bearing failures are the second most common reason for pump failures. However, a double volute adds additional hydraulic resistance. In addition to single and double volute casings, another type of pump casing exists: the diffuser casing. A volute is a spiral-like form.